Today, the Scottish Government announced the establishment of a “Land Reform Review Group” that will oversee a “wide ranging review of land reform in Scotland”. If this happens it will be very worthwhile. Whether any of this gets looked at depends on two things. 2. a remit for the Land Reform Review Group. I will moderate comments strictly to these two questions. My interview on Radio Scotland Newsdrive at 1750 today 24 July 2012. UPDATE 25 July 2012 Rob Gibson MSP has issued a press release welcoming the establishment of the Group. From his comments it appears that the review will focus on community land issues. The “Overview of Evidence on Land Reform in Scotland” published by the Scottish government also restricts itself to the Land Reform (Scotland) Act 2003. Given too that a review of the Act was the focus of the SNP manifesto commitment, this all suggests that the remit of the Review group is not going to be a review of land reform but a review of one piece of legislation. Since the remit has yet to be published, however, it is still impossible to be sure. UPDATE 27 JULY 2012 Professor Peter Dale OBE who is a past President of the International Federation of Surveyors 1995-99 and currently their Honorary President has contributed a useful summary of what land reform means. It is an analysis that I agree with. In my view land reform is about the reform of power relations and how that power is derived, distributed and exercised form the core of any serious land reform project. Here is what Peter has to say. “The words ‘land reform’ often mean almost whatever you want them to mean and depend on to whom you are talking. Unless I have missed it, the Land Reform (Scotland) Act 2003 does not define the term, it merely lists those examples of land reform that the Act addresses. It is as if you had a Health Reform Bill that didn’t address health, only some service delivery such as patient waiting times. Land is a diverse concept that depends on whether you are looking at it from a legal, financial, land use or social perspective i.e. its ownership, value or use. Reform may concern the changing of land rights (land tenure reform), the redistribution of ownership or use rights (including land consolidation and land reallocation, i.e. reforms to the pattern of ownership), alterations to land use (e.g. physical changes in agricultural practice or through inner city development), changes to land tax (that bring about changes in land ownership, value or use), or changes in how land is managed, etc. 1. Land Reform: Changing of laws and regulations regarding land ownership, both urban and rural, especially with regard to the private ownership of land kept unused. – restricting the rights of private landowners with regard to public rights of way, reasonable public use of private land, and ownership of land kept unused. 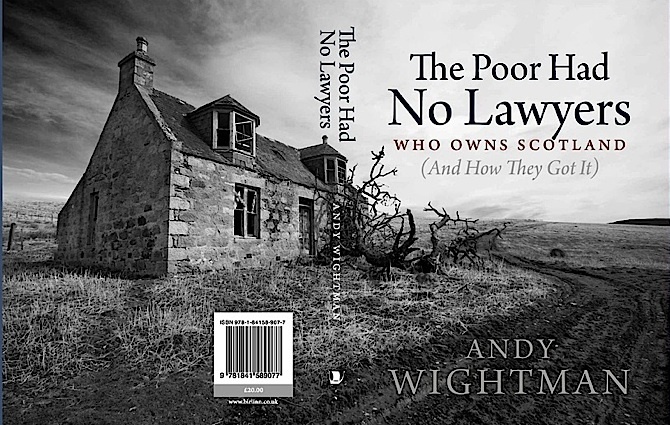 Land law reform = the state interfering with the regulation of immoveable property. This reform might be of the system of tenure, it might target some form of redistribution, or it might actively seek restitution, all in accordance with the Rule of Law and the A1 P1 of the ECHR (which allows for peaceful enjoyment of property – which is usually maintained by the state’s benign tolerance/maintenance of the status quo). When you “fix” the law you might do so for (broadly) two reasons. It might be to iron out a wrinkle, perhaps ease an administrative burden, etc. Such reforms are politically neutral. Another “fix” would be to fix a societal need. This would be overtly political. That seems to be what the Scottish Government is geared towards with this “radical” announcement. So what should be covered? With respect, you can lose inheritance tax/tax avoidance and other things that are reserved to Westminster. Succession had a full Scottish Law Commission Report in 2009 that still needs to be considered, so it’s unlikely to fall in this review (and in any event succession can’t help you deal with property held by trust or company as these entities do not die as often as people). Land Registration, as you know, is a ship that has recently sailed so you would need to launch a new ship. What about absenteeism? Again, tricky, as it is a control of ownership of sorts and although some people disagree you can make a case as to why absentee owners are fine but absentee crofters are not. What might be easier to argue is “sustainable development” is something that applies to all landowners of rural land, not just community bodies. That might be easier to justify on ECHR grounds. (d) allow other entities, not just companies limited by guarantee, to be community bodies. Not much, but as noted those would be within the gift of the Scottish Parliament. Some initial thoughts. I would be grateful to hear what others think. I’m new to this in a Scottish context, and learning a lot from blogs like this. Land reform took place in Germany (and Japan) after the war, and we have a lot more access to land here than in the UK: people tend to own smaller parcels of land as well which breaks up power. In fact, in some regions the land around a village is owned by the community, and the farmers meet every few years and have a lot of say in who uses which plot. A lot of our reform was by fiat: the occupying forces in Germany didn’t have to worry about the landlords opinion, but are there perhaps models of land ownership that may translate into a Scottish context. 1. Planning law. The reason house plots are so expensive is because itâ€™s so hard to get planning permission – simple supply and demand. Increase the supply by making planning permission easier to get and the price will come down. 2. Giving housing associations and perhaps other local bodies power of compulsory purchase. You often see high amongst the aims of bodies wanting to purchase estates under the Land Reform Act that they want to build some affordable houses and establish a community wind turbine. You donâ€™t need to buy an entire estate to do that, all you need is a couple of hectares. This would make the Land Fund go much further and it would enable the experts in housing provision to take the lead in providing affordable housing. a) Ability to clearly identify which entities own all land in Scotland in One registry. Not sure exactly but how can you reform access and ownership without easily identifying current ownership. I guess Andy is the expert here. b) Reforms should target what laws and levers need implemented to ensure the type of land redistribution that is desired and in a reasonable period of time. Eg Make it more financially difficult to own large expanses of land, increase diversity of land usage and types of ownership. c) Encourage development of land in ways that benefit community’s eg. For recreation, cycle paths etc. d) Towns and villages / councils / planners should have clear and mandatory limits for ratio of Private housing development to affordable housing development and availability. Some kind of positive discrimination should be implemented key to aid local residents on local salaries to have access to this affordable housing with priority over eg. 2nd homers / retired incomers. e) Compulsory purchase powers need to be extended so that the varying types of land distribution that is targeted by the recommended reforms can be broadly enforced. Land Reform is not something I have much expertise in however it does prompt me to ask some questions. We are constantly saying, and being told, Scotland is ours. In what sense can that possible be true? I own not a bit of it, nor am I likely to without winning the Lottery. Will Land Reform give me ownership or rights to use land? If not, why not? If yes, what rights? Walking along a path is great, but it isn’t much use to me when the time comes I may face homelessness. For us all to truly have our human rights fulfilled including a home. Having a home means having a bit of land for that home. Without vast amounts of money, or guaranteed income I won’t ever have that. Will Land Reform address our needs to have a home over and above the land class and their need to make a profit? The landed class may have property rights, but why should we tolerate those rights at the expense of the thousands of homeless people, the difficulties rural communities have faced over the centuries and often still face? Are we moving towards a better century or returning to feudalism where the powerful get to peer down on us plebs from even greater height then they do at the moment and with greater control to dictate our ability to survive, to live a safe, secure life or not? Who decides? Why? Simply because the landowner could afford a lawyer? Humans and the environment all species exist within are far too precious to tolerate that. So I think that may come down to the idea that Land Reform must address social justice and environmental issues. What use do we make of the land? Is that land used in the interests of the community and in harmony with the environment? If not, what can we do to protect the interests of the environment and so future generations and their ability to survive. Who has final say on the ability of future generations to have a clean, healthy landscape to live upon? The Scots or a land owner? Land Reform should result in a democratic means of deciding what land can and cannot be used for. I would suggest landowners, users who use their land in a manner that is not in the interests of the community, surrounding communities, of the environment, should be removed ie, the land is forfeited when it’s use is not in the interests of the community, the population at large, or is not sustainable, either socially or environmentally. We should perhaps look to countries such as Bolivia where they have a new constitution and have overhauled their legal system. Why not learn from other nations, nations that have learned long hard lessons? Far better we learn from others, learn from their mistakes rather than making the very same mistakes. Land Reform is far too important for the whole of the Scottish population for it to be left in the hands of a few faceless civil servants being lobbied by the vested interests. 1. Change such that ownership, access, control, use, occupation and enjoyment of land become the right of, and available to all who seek them. 2. Land taxation to achieve the above. Disappointing – a missed opportunity. But not surprising given the recently speech to the SLF by his Lordship. @ Tom – how do you envisage land taxation achieving ownership, access, control, use, occupation and enjoyment of land becoming the right of, and available to all who seek them? The control was relaxed as clearly many has something useful to say whilst not sticking to the question. To continue Prof Dale’s analogy, what would his ideal Health Reform Bill include – abolition of all illness and reversal of the ageing process? And if nobody else has got anything else to add to this thread, I’ll take the opportunity to say I wish the Scottish Government wouldn’t keep remitting to outside panels to tell it what to legislate. As witness that dog’s breakfast the Tenant Farming Forum produced regards agricultural tenancies. Why can’t the SG come up with some policies of its own which we can judge them by? It’s got an electoral mandate after all. Law of Succession, why does this Law Assume all Land is inherited, in the case of intestacy land purchased by my husband in our life time together (40Years) is taken completely from me because of a “Blood Line ” – This Law Favours the Upper Class Landowners to the detriment of the working class Scots who raised themselves up through personal hard work, bought a piece of land only for it to be taken from the surviving childless spouse & handed over to 77,68,& 70year old blood syblings. All because the Law assumes “Land is Heritable Property”. Elinore – At the risk of wandering off Andy’s topic, is making a distinction between purchased and inherited land the correct focus? Would you have felt OK about your husband’s property going to his siblings if he’d inherited the property rather than bought it? To my mind the issue is that in the case of a person dying intestate with no children, as the law stands, his/her siblings (and parents) are preferred to his/her spouse. However, the Scottish Law Commission has recommended that that be changed so that the estate of an intestate person with no children goes to his/her surviving spouse rather than siblings (or parents). So I think they have heard your plea and in fact gone further because the rule which is proposed about the spouse being preferred to siblings or parents will apply to property which was inherited as well as purchased.